Also, before I get on to the topic for this week, I thought I would bring you up to date with arrangements for the Annual Becket Lecture that will take place on Tuesday 23 January at 6pm in Powell Lecture Theatre (Pg09). 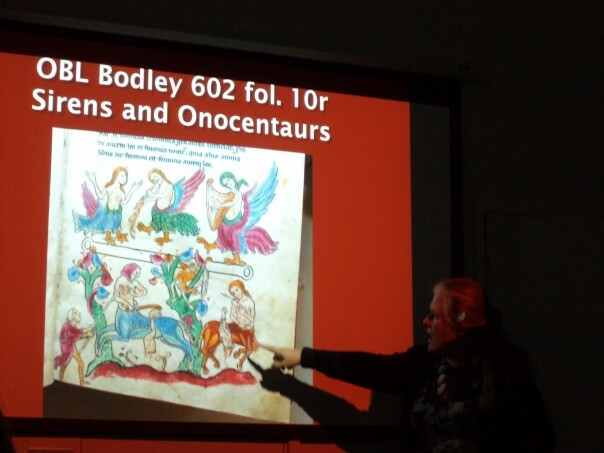 As I said before, this year the speaker will be Dr Marie-Pierre Gelin of University College London and her topic is ‘Thomas Becket and his Predecessors at Canterbury’. The lecture is free and open to all, please do consider coming along to it, these have been fascinating occasions in the past and this promises to be a similarly interesting topic. St Dunstan’s churchwardens’ accounts, Canterbury. 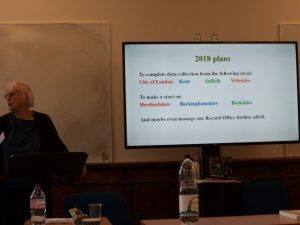 Now for this week, I thought I would bring you a short report on the conference I attended on Monday at the University of Bristol on ‘Churchwardens’ Accounts, c.1400–1800: Where Next?’ This was organised by Dr John Reeks of Bristol University and Dr Valerie Hitchman of the University of Kent. In fact, there was a considerable Canterbury contingent within this select band of scholars, because, apart from Valerie and me, Dr Andrew Foster and Professor Kenneth Fincham were there from Kent University. Professor Ronald Hutton from Bristol University (The Rise and Fall of Merry England and other similar works, although he is now returning to one of his first subjects, Oliver Cromwell) was only able to attend a few sessions and I missed the first due to problems with the local GWR trains, but everyone else was there throughout. The day had been structured around the idea of having as much discussion time as possible. Consequently, there were only a few short traditional-style papers with others responding to the ideas put forward, as well as highlighting their own particular interests or providing a resume of how they had used such records in the past and/or they might do so in the future. Moreover, quite a few people around the table either have already published editions of specific churchwardens’ accounts or are in the process of so doing. The value of such editions was one of the topics that resurfaced several times during the day, alongside the theme of how to secure funding and whether a national strategy would be advisable, or even possible, to ensure that the most nationally important series of accounts are given priority. However, this raised the conundrum that generally funding has been and probably will continue to come from regional or county record series which by their very nature have a local focus and interest. Not, of course, that this is a problem as such, but the general editors and funders of these series often, quite properly, have their own priorities that may not reflect the national perspective. Yet among some successes are several series of churchwardens’ accounts from Berkshire, see in particular the work of Joan Dils; while for Stratton in Cornwall Dr Joanna Mattingly’s edition next year through the Devon & Cornwall Record Society will be a great achievement. Valerie Hitchman discusses the Churchwardens’ Accounts Database. 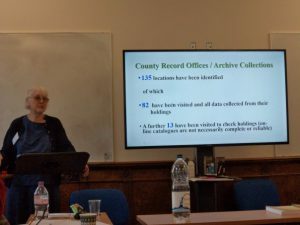 Another considerable achievement, and a project that is ongoing, is Valerie Hitchman’s ‘Churchwardens’ Accounts Database’, which was the subject of her paper. Since she started on the database for England and Wales in 2008, Valerie has made great progress and of the 4,300 parishes with surviving accounts, she has done 1,918 which means in terms of years checked she is on 119,393. The database has county and parish pages, and it is searchable, for example, by year and diocese. However, there have been some sizeable problems along the way, not least differences of opinion regarding what format it should be in. Having started in Access, Valerie was informed Excel would be better and having transferred the data across once, she is concerned that it may need to be turned back again. In part this will rest on where the database can find a long-term, reliable home because up until now it has been hosted by the Parish Network at the University of Warwick with only limited success. Consequently, Valerie is seeking possible alternatives, and, as with the issue over editions of churchwardens’ accounts, there is the matter of funding in an increasingly competitive market. Her audience appreciated the issues she raised and there was agreement around the table that she had done a sterling job and that it would be an extremely useful tool for a wide range of historians. Valerie indicates where she will be working in 2018. Picking up on matters raised throughout the day, the final session looked as possible ways forward. Drawing on Dr Alex Craven’s contribution about his edition of the churchwardens’ accounts for St Mary’s, Devizes, published by the Wiltshire Records Society, Andrew Foster put forward the idea that it would be extremely useful to have a blueprint of ‘best practice’ for such editions. This might include a glossary, notes on regional dialect, a bibliography, an index and a “user beware page” that would highlight problems covering such matters as how comprehensive the accounts are, changing start and end dates etc. 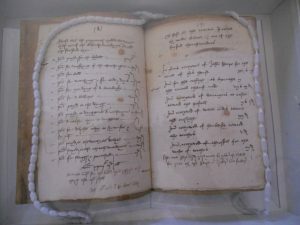 This, too, will be part of the scholarly apparatus for the churchwardens’ accounts database, as well as noting what other material is also extant, for example, presentments, vestry minutes and inspection books. In addition to such methodological matters, the group discussed what might be the best future directions under the headings of: People, Time, Places, and Concepts. All of these seemed appropriate and the consensus seemed to be that perhaps one of the ways forward would be to have another conference that took a different focus from the highly successful conference in 2010 at Kent. 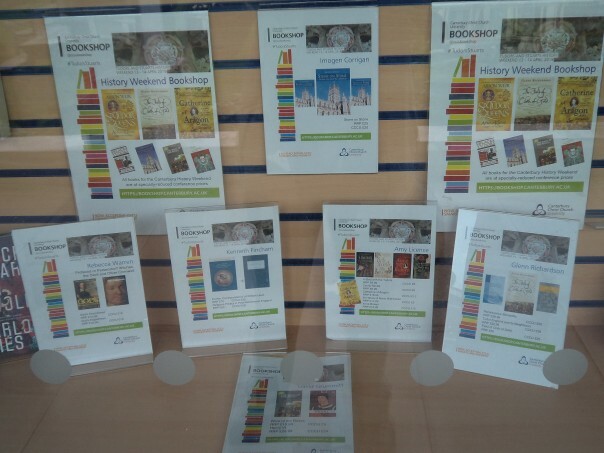 This first conference had resulted in Views from the Parish: Churchwardens’ Accounts c.1500–c.1800, edited by Valarie Hitchman and Andrew Foster (Newcastle upon Tyne, 2015) which had highlighted the range of history topics that could be investigated using these records. 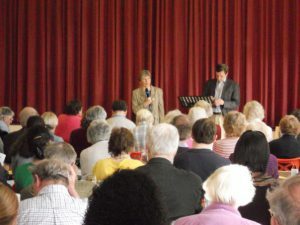 Study day at St Dunstan’s: Mary Berg introduces Professor Fincham (photo Camelo Somers). Just as a corollary to this, I think it is worth mentioning that the versatile nature of these sources, especially if complementary parish and diocesan records are used, can offer major opportunity well beyond academic conferences. Taking a Kent focus, I am thinking of four study days organised in the past by the churches committee of the Kent Archaeological Society that drew in large audiences to explore: ‘Church life in the Middle Ages at St Leonard’s, Hythe’; ‘Living through the Reformation at St Dunstan’s, Canterbury’; ‘The Restoration Church and the Parish’ at King Charles the Martyr, Tunbridge Wells, and ‘The Oxford Movement and its Legacy’ at Holy Trinity church, Folkestone. The particular attraction for many in the respective audiences was the combination of talks in the morning followed by workshops in the afternoon, all within the setting of the church under study. 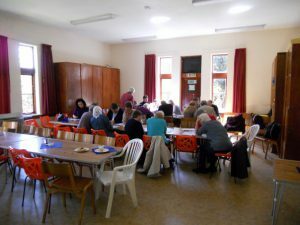 Workshop at St Dunstan’s – exploring churchwardens’ accounts (photo Camelo Somers). At St Dunstan’s, for example, in the morning Alasdair Hogarth introduced the audience to the early history of St Dunstan’s church before Professor Fincham provided an assessment of religious changes during the Reformation and their general impact on the parish. This was followed up in the afternoon by workshops, one half of the audience initially going on guided tours in the church: considering what it would have been like before the Henrician Reformation (led by Imogen Corrigan [spoke at the Medieval Canterbury Weekend in 2016 and will again in 2018]), and how the church interior and furnishings were changed to reflect the religious changes thereafter (led by Professor Fincham [he spoke at the Centre’s Tudors and Stuarts History Weekend this year]). Using a worksheet and being guided by Jackie Davidson and me, the other half studied documentary records in the church hall: churchwardens’ accounts and wills, as well as looking at original documents that Jackie, as an archivist at Canterbury Cathedral Archives and Library, had brought from there for people to see. After tea the groups swapped over so that everyone had the opportunity to do everything. Thus, a day thinking about the uses of churchwardens’ accounts can, indeed be very fruitful for a whole range of different people, and, on that note, I’ll wish you all a good Christmas and next week I’ll review the Centre’s activities in 2017.